Usually pear tree will grow well in mountainous areas. Its external appearance will look like a green vegetable. But it is one of the tastiest fruits. Pear fruit being available only in specific periods. It will increase the immunity power. It is rich in vitamins A, B, B-2, Iron, calcium. It is being called as Desi apple. 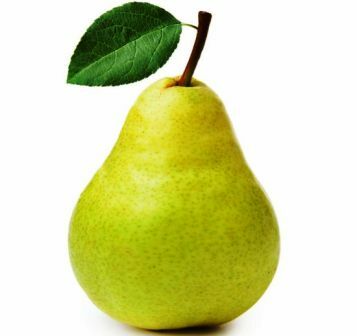 People who have Cardiopalmus can consume a pear twice per day to improve heart palpitations. People who have Stomach ulcer, usually will get Stomatitis as well. Eating a pear daily basis will cure both of them. People used to get Diarrhea due to the food allergies. Some bacteria also cause diarrhea. The diarrhea will be cured if we have a pear daily. Mineral salts, which are separated from the blood become a stone in the kidneys. It is good to have two Pear fruit per day to break these stones and discharge them..
* To bring down the Body heat. * To increase the eyesight. * To avoid the effects of skin healing. * To strengthen the Intestines and stomach. Also to strengthen the body. So during the availability of pear we can consume and get all its medicinal benefits.